There’s a crispness in the air when Europe welcomes spring. The morning light breathes life into the landscape, flowers bloom, and colours paint a picturesque canvas across this beautiful land. Architecture, beer, beaches and parties, the countryside and wineries, or even an adventure sport, there’s so much to do and see in Europe that if we’d have to absolutely, hand on heart, pick the five best destinations to visit in Europe this spring, narrowing down the list would lead to a war. So we’ve picked the lesser known places, not major cities and famous towns but a little out-of-the-way towns you must explore. Europe is one of the easiest and friendliest continents to travel and if not here, where else could you seek some hidden gems? Pack your bags, get your sunscreen on, and chalk out that Europe tour. Just 15 minutes away from Lisse and the tulips of Keukenhof, this warehouse converted into a cosy HomeAway is the ideal comfort home for a family of four. The apartment gets two bedrooms, wooden floors and an open kitchen with all the equipment to cook a full meal. 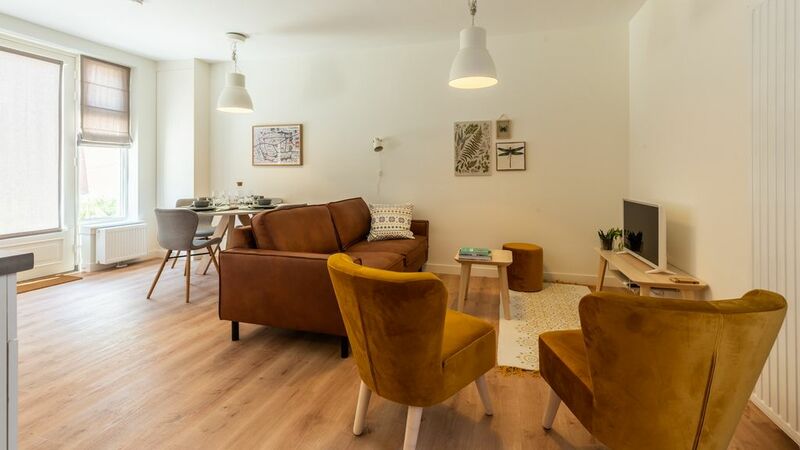 If you don’t want to cook, there are plenty of restaurants and cafes in the vicinity and access to public transport is right outside the house. If you are a smoker, take your pollution outside though as this a non-smoking apartment. 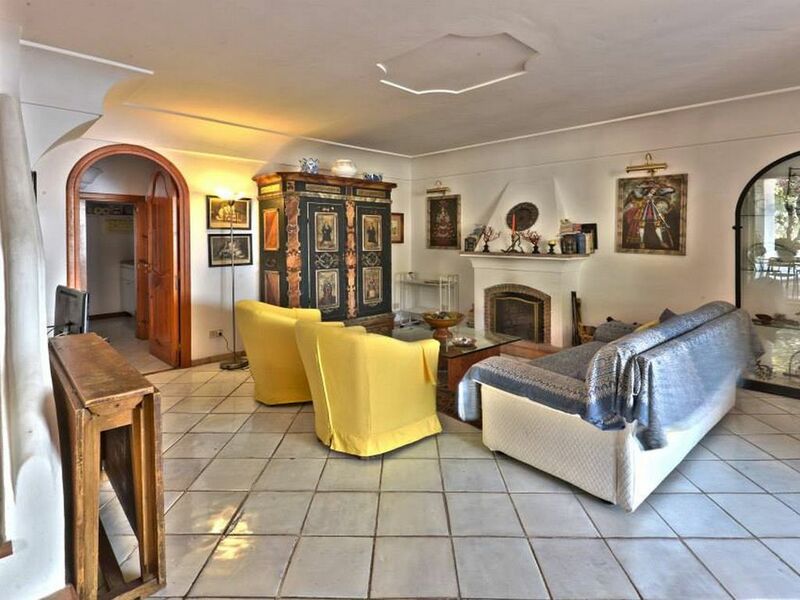 This three-bedroom bungalow is right on the Delft canal. Getting a nice tan as you watch the boats pass by or hopping on to a boat to explore the town. The owner will only rent out each room individually so if you are a larger group, you might have to book them separately. It’s a bed and breakfast so expect a nice organic meal in the morning. The house comes with air conditioning, satellite television and internet, has the waterfront out back and the ocean nearby. “Welcome to the Meije, one of the most beautiful places in the Netherlands” as the owner says. 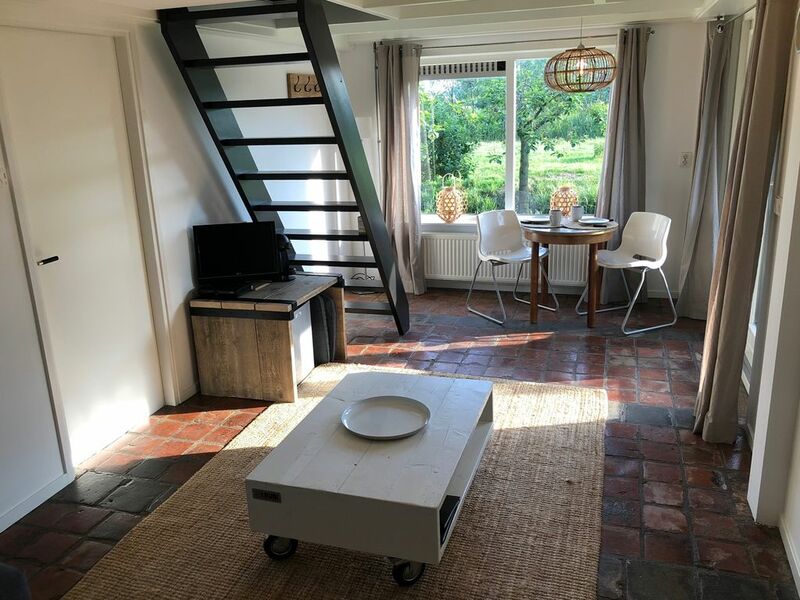 It’s just 30 minutes away from Amsterdam, has a cozy bedroom in the loft, a comfortable living room, satellite television, internet and heating. The rural setting is a welcome change from the towering skyscrapers of Singapore, a small winding road leading to the house and a lake and forest nearby. Vacations should be different from your daily life and this HomeAway takes you out in the woods to give you just that. Slovenia rarely comes on the map for travellers from outside of Europe but it’s one of those places you must take notice of soon. It was voted as one of Europe’s greenest and most liveable capital cities, doesn’t allow cars in the city centre and as a result of that, the beautiful and clean Ljubljanica river and the properties around it make the ambience of this city almost otherworldly. You won’t find a more charming capital city anywhere else. What’s more, Slovenia and its capital are so well connected with Austria and the major town of Graz up north, Zagreb in Croatia to its South-East and Venice and plenty of coastal Italian towns to its west. You could make Ljubljana as your base for the South European vacation and experience so much at such short distances. 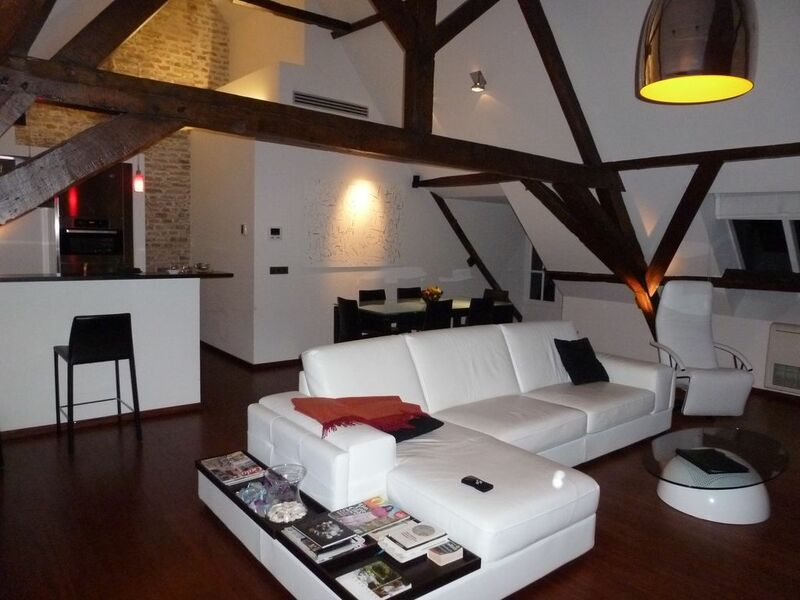 Situated right in the centre of the city, this first floor apartment is a modernized space in a 200 year old building. Just a few minutes’ walk from the Ljubljanica river, you are in the city for all that Ljubljana has to offer. The castle is walking distance away, the market is nearby, cafes and pubs are just across the river and views outside the window are of beautiful buildings with sloping roofs. 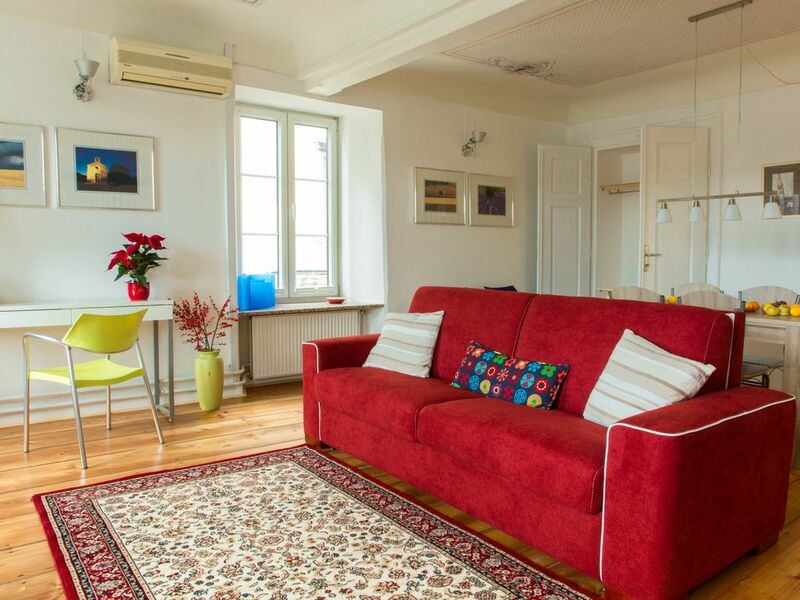 A group of six can stay at this two bedroom apartment, the owners live at the apartment above this property and the hosts speak five languages so you should feel right at home. Some apartments are cosy but a few are outright stylish. This one is the latter. It’s smart, tastefully designed, and one glance at the pictures will make you want to stay here. 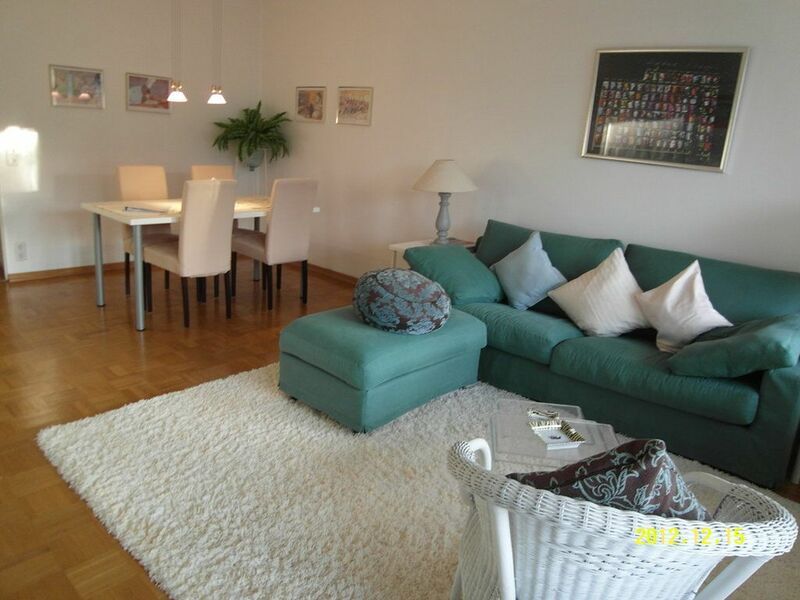 Ljubljana is a city with plenty of old structures so you don’t expect to find such a modern apartment here. It’s ideal for a family of four and its one of those rare pet-friendly places in this part of Europe. 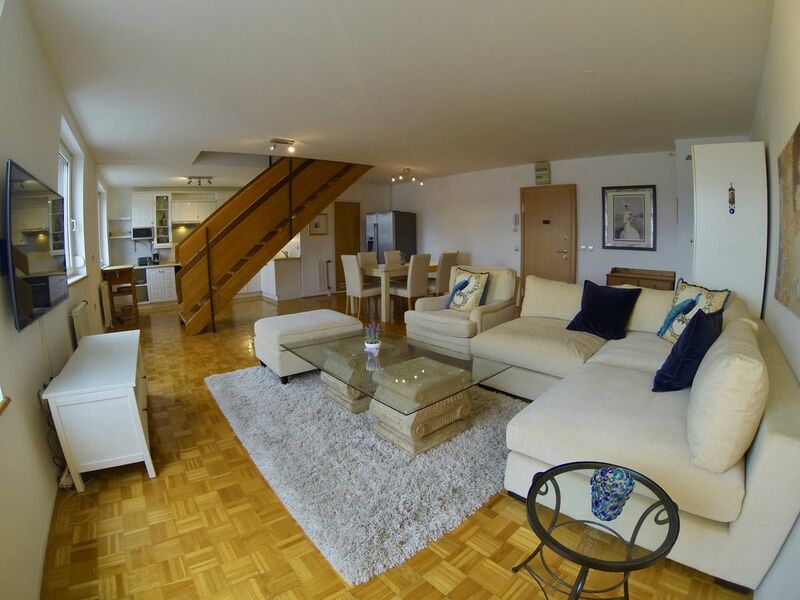 Air conditioning, wi-fi, a cosy fire place and a well setup kitchen are listed as amenities in this apartment. Please note that over and above the prices mentioned in this city, the government charges a tourist tax of 3.13 Euros per night. 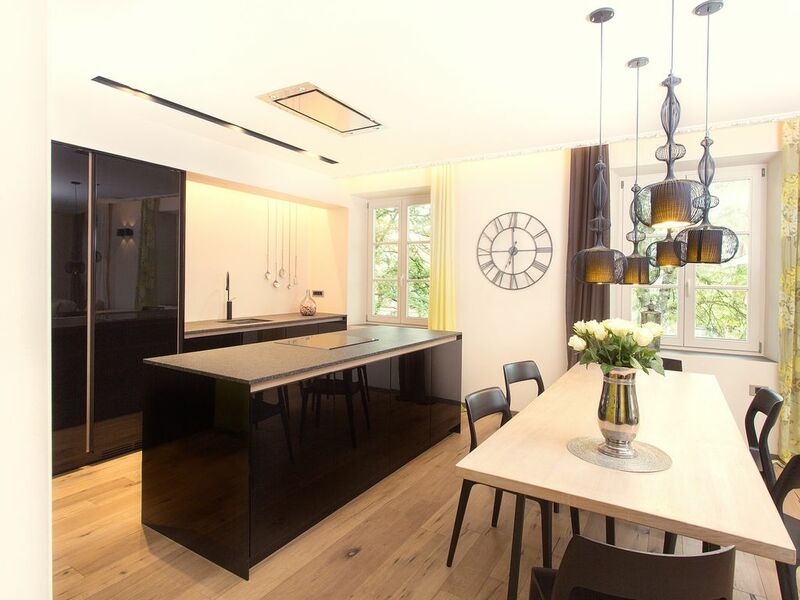 A luxurious penthouse with three bedrooms overlooking the city centre and the castle in Ljubljana and views of the Slovenian Alps from the terrace above; such contrast of nature and infrastructure in one setting is rare. Unless you are a group of six, the price would be on the steeper side. However, there is no skimping on amenities here. The house comes with two parking garages, a fully equipped kitchen, and internet/cable connectivity. Germany’s erstwhile capital city might not have the limelight of Berlin but it holds its own when it comes to old-world charm and urban development. It’s also the home town of legendary composer Ludwig van Beethoven. Situated on the banks of the Rhine river, Bonn is not as much on the popularity map when it comes to famous German cities but is strategically still an important political city. Situated to the south of Cologne, Bonn has the German countryside on its back and plenty of industry up north. To the east is the stunning landscape of Belgium and with a population of just 300,000, the city isn’t over crowded too. Bonn takes you closer to the forests of Germany. 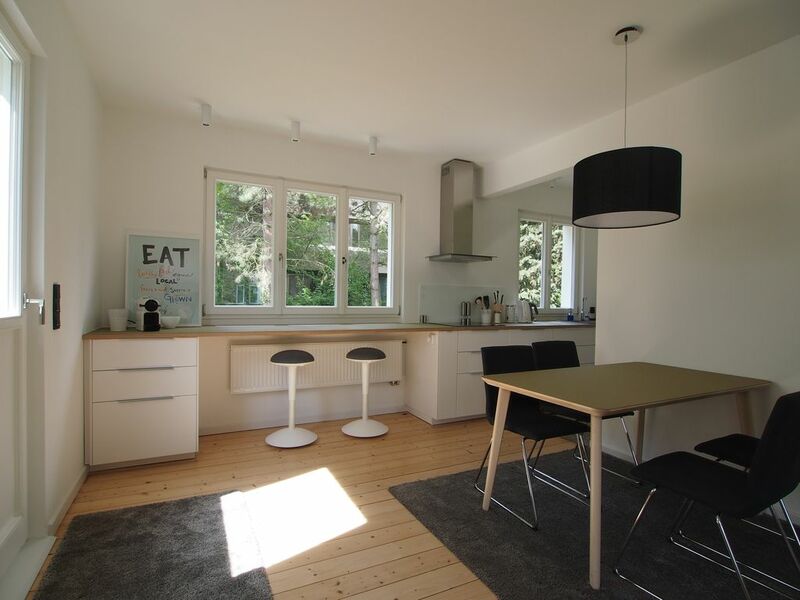 With the beautiful Rhine river just 100 meters away, views of the Siebengebirge on the other side of the river and a promenade to walk and cycle by, this two bedroom HomeAway is a nice weekend getaway by itself or a great lazy stopover during the European vacation. Not too far away, you can watch the opera or visit the museum, go to the cathedral or castle or just marvel at the Bauhaus architecture of your home stay. The house also comes with a comfy patio and a grill for an evening beer and summer party. Few houses can boast of being part of the countryside and yet have the city and its amenities with a 10-minute walk from the place. This cosy one-bedroom HomeAway is one of them. Ideally it’s a two person house but you can get four in by making the living room futon your bed. The apartment is pet friendly, gets heating, television, internet, and parking. The kitchen is fully stocked so you can prepare all your meals here too. 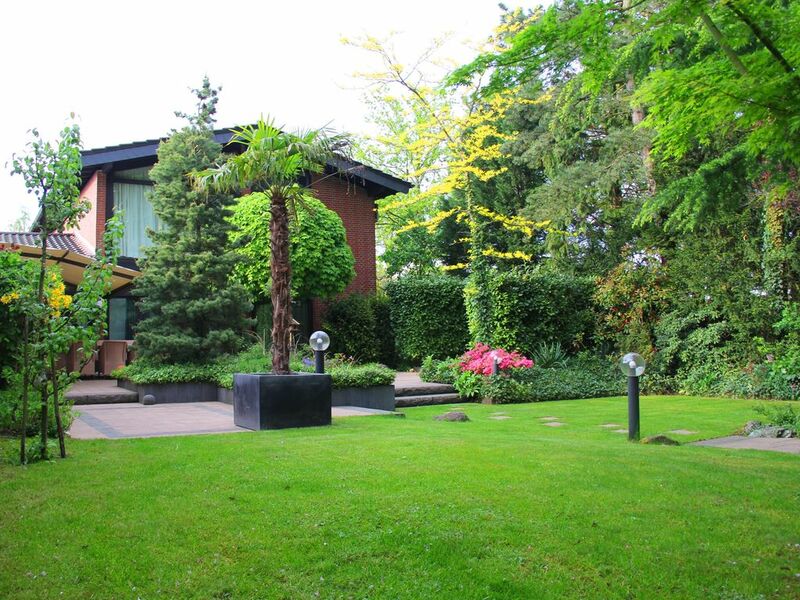 If it isn’t the usual European family vacation but a large group of friends or an office getaway, this 16-person villa just 20 minutes away from Cologne airport in Bonn university is just the house you seek. Seven bedrooms, five bathrooms, a sauna, swimming pool, 1500sqm garden with garden furniture and BBQ – it’s lavish! Note that the owner won’t let you party hard though; it’s more of a relaxing villa than letting the town know that you exist. The dreamy medieval town of Bruges is one of the best-preserved cities in Europe, so much so that its classic charm has made it a very popular tourist destination. Weekends in spring won’t be as nice as a result so our advice is to make the best of the week in Bruges, stay for at least a night or two to soak in the city as the light goes to night. Every corner of Bruges is a picture postcard, which means you could be the world’s worst photographer and still land a few less-than-shabby images. The building was built for Italian merchants in the 15th century. 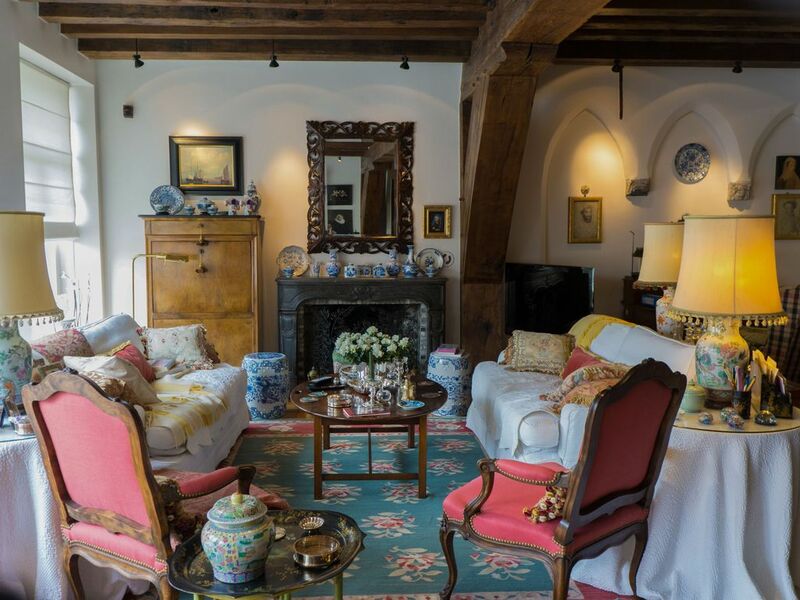 Now thoroughly renovated with luxurious furniture and furnishings, it’s a romantic HomeAway for a couple visiting Bruges. The town’s romantic setting adds to this warm HomeAway, but plan a longer trip if you want to stay here as the owner insists on a minimum of three nights stay here. We’re sure you’d want to stay in the house as the kitchen is stocked with basic food provisions and even has a spice cupboard. Bring out your culinary skills to woo the better half then? We’ll let you decide. The bank account looking healthy? If yes, pull out all the stops and get on board this luxurious mansion on your Bruges stay. It’s got four bedrooms to sleep eight and eleven can be accommodated in total if the other three don’t mind the bunk beds. Rest assured, it’s a mansion though and not some commoner’s bungalow. 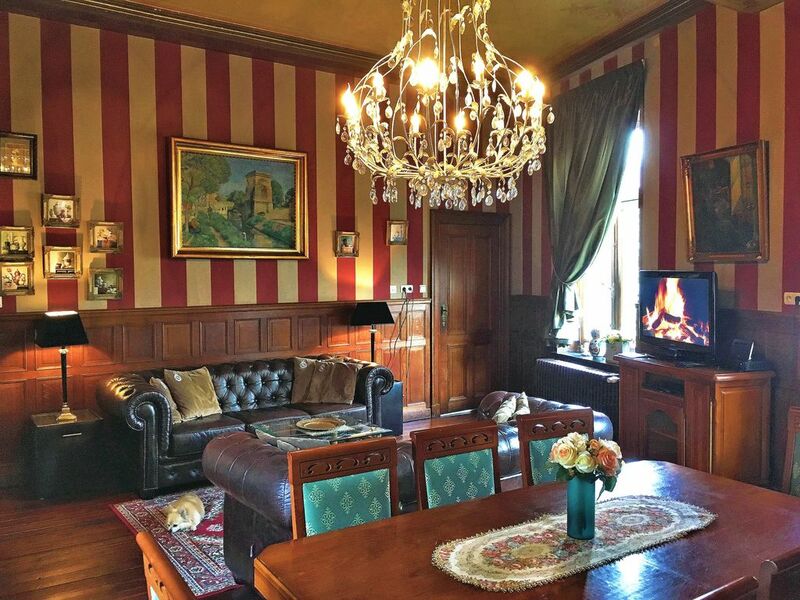 Painted ceilings with a large crystal chandelier, marble fireplace, 6 metre-high ceilings, carpets and plenty of leather, the mansion is worth the price the owner is demanding for it. Scroll through the images of this penthouse in Bruges and you will know why the host says, “There´s no apartment in the center with a higher vantage point.” Panoramic views of the city center, hardwood floors with carpets, fully furnished and equipped apartment and plenty of outdoor space for a BBQ and a beer to enjoy the view. Bruges is all about seeing the medieval town and living a lazy life while in town, what better way than to enjoy it from the comfort of your own patio. While finding hidden treasures across Europe is the new trend in travel, there’s a reason why the known touristy spots on the Italian coast are worth all their money. Positano to the south of the Amalfi coast is one such place with splendid views of the Tyrrhenian sea in front of it, with such views right from the window of many HomeAways as well. Positano is picturesque, a coastal town bathed in high fashion and fancy restaurants. Bring your bling here and your bikinis. This cosy, ultra-beautiful house features a large deck facing the sea and two bedrooms with a similar view. This house is ideal for two couples or a group of friends with its two bedrooms and comfortable living room. The building dates back to the eighteenth century with steep floors leading to the house so if you’ve got senior citizens with you, this may not be the ideal house. For the rest, there couldn’t be many better. It’s the villa for your squad, the place you let your hair down, dive in the pool and party through the night. Spread across three levels, the villa is luxurious, comes with six bedrooms and is ideal for a group of 12. Picture sipping on bubbly by the jacuzzi on the roof with views of the sea. It’s literally the definition of the good life. A sauna, a swimming pool, a jacuzzi and the coast, there’s no reason why you should forget your swimming costumes at home. 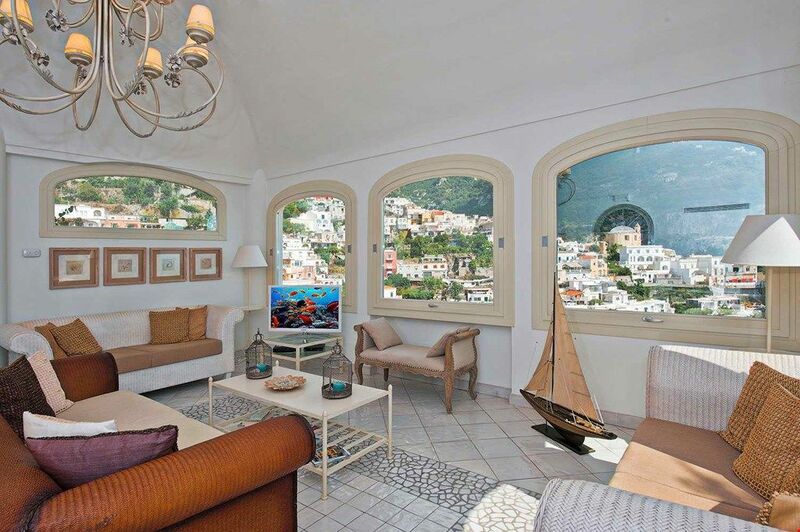 Don’t think Positano doesn’t have affordable HomeAways. 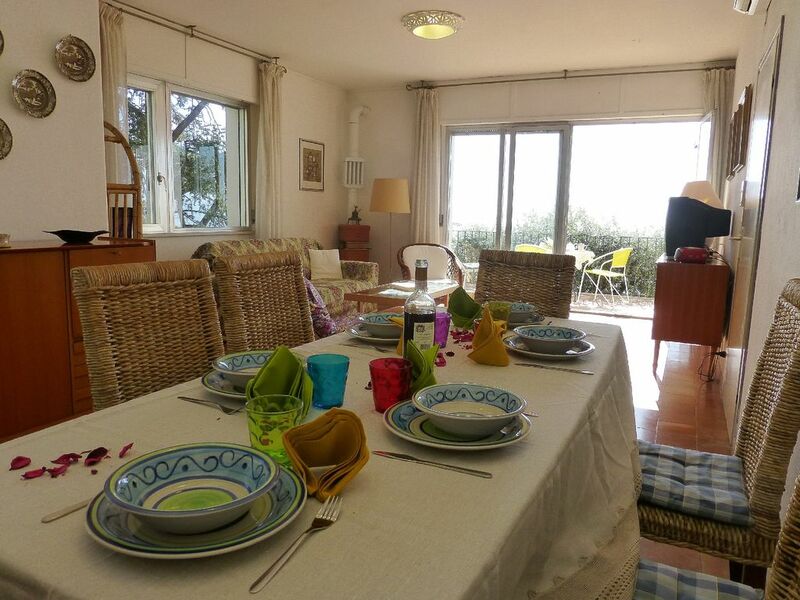 This villa for three is just right there where you feel that you get more than what you are paying for – stunning views of the sea, a cosy apartment, a nice patio to spend the summer evenings and a fully equipped house with wireless internet, air conditioning, television and parking. Italy is the country for a roadtrip, so hire that rental and explore this part of the continent. homestays for your next holiday.